"I Have Never Forgotten Their Names." 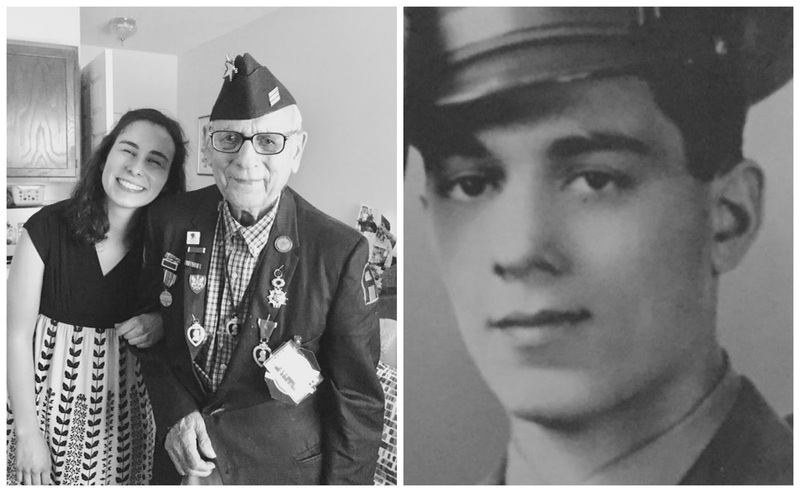 Today, on the 73rd anniversary of D-Day, I'm thinking of my friend, Elmer DeLucia who was twenty years old when he stormed Omaha Beach. I've had the honor and privilege to talk with him on multiple occasions, and I'll forever cherish our visits. It's not everyday a D-Day veteran holds your hand and sings, You'll Never Walk Alone! There's so much I could write about him. He fought in five major battles during WWII, Normandy, Northern France, Ardennes (Battle of the Bulge), Rhineland and Central Europe. He was honored with the Presidential Citation for D-Day, three Purple Hearts, two Silver Stars, five Bronze Stars, five Major Battle Medals, a Chevalier in the Legion of Honor in France, and a Good Conduct Medal. But today I'm going to focus on his D-Day experiences. Seventy-three years later, Elmer still remembers the names of three men he trained with, men he last saw when they arrived in France before being separated into different companies—Margarito Frausto of Texas, Lucian Hughes of West Virginia and Warren Knipple of Cincinnati, Ohio. They were split into four separate companies. 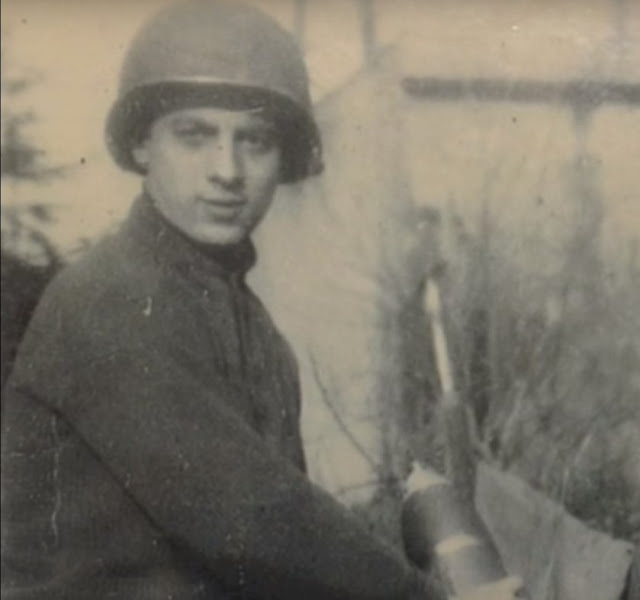 Elmer was assigned to A Company in the 81st Chemical Mortar Battalion as a sight-man on 4.2 mortars. On June 6th, 1944, Elmer stormed Omaha Beach. 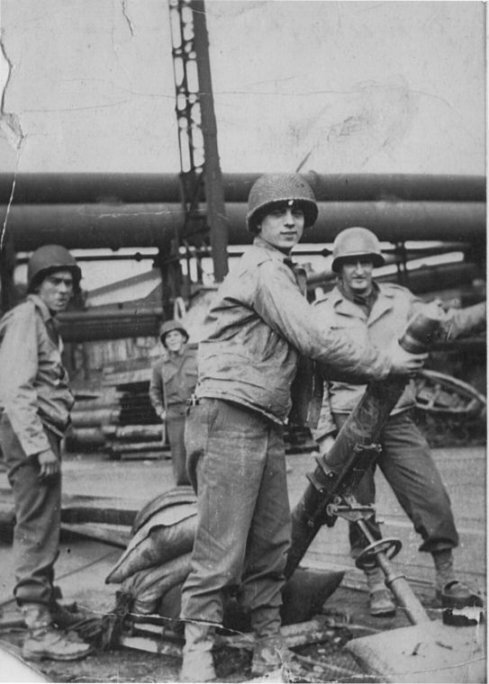 The mortar men of the 81st provided the first direct fire support on Omaha that day with A and D being the first companies of the battalion to land. The craft straightened out into waves and headed for Omaha Beach with all the speed and power they could muster. All the companies were in either the fourth or fifth wave of the assault ... Soon empty LCVPs passed. Seeing the empty craft relieved the strain a bit, for then it was known that the first wave had managed at least to disembark. Elmer and his friends said "goodbye" and "see you later" as they were separated. He didn't know that he'd never see them again. "My superior officer said, 'Elmer I have some bad news. It's about those guys you trained with.' I said, 'Which one got it?' and he said, 'Elmer, they all did.' I sat down and cried. After all our time training together in the United States, they were killed. I never got over that ... I have never forgotten their names." To all our veterans and fallen heroes of D-Day, thank you for your service. Your sacrifice is not forgotten. I have so much respect for our veterans. That just about brought tears to my eyes. Ah, this is so sad. But it's an amazing story. Thank you for sharing it!